Those who enjoy watching the Winter Olympics are familiar with the unique and unusual sport known as curling. People who have had an opportunity to try it know that it is more challenging than it appears; and, that is with perfect vision. Now, imagine engaging in the activity living with blindness. 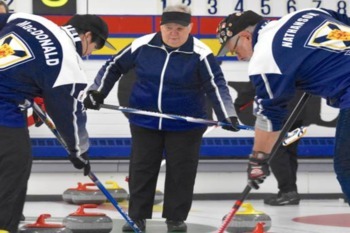 Louise Gillis, 70, is almost entirely blind and yet, she curls every Monday and Wednesday at the Sydney Curling Club. She also paddles with the Sydney Harbour Dragon Boat Club and volunteers with the Special Olympics. San Diego Center for The Blind can be your guide to living independently. Please contact us to learn more.